AFLP analysis to estimate the genetic contribution of parents to progeny from hybridization between Saxifraga sibirica L. and S. cernua L.
It is shown that the method of amplified fragment length polymorphism (AFLP) can be used to estimate the contribution of parent plants to the genome of the progeny from artificial crosses between Saxifraga cernua and S. sibirica. According to Nei’s (1972) genetic distances between plant groups, F1 plants are intermediate between the parent species but closer to S. cernua, probably because its genome size is twice that of S. sibirica. Conversely, B1 plants proved to be closer to S. sibirica, because the hybrid progeny were crossed back to this species. Original Russian Text © O.S. Dymshakova, V.L. 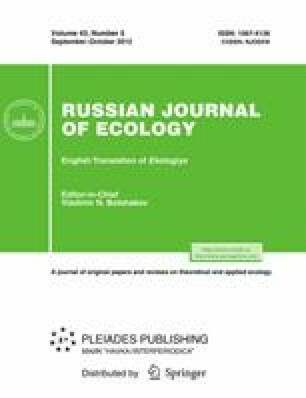 Semerikov, M. Lascoux, 2012, published in Ekologiya, 2012, No. 5, pp. 319–323.